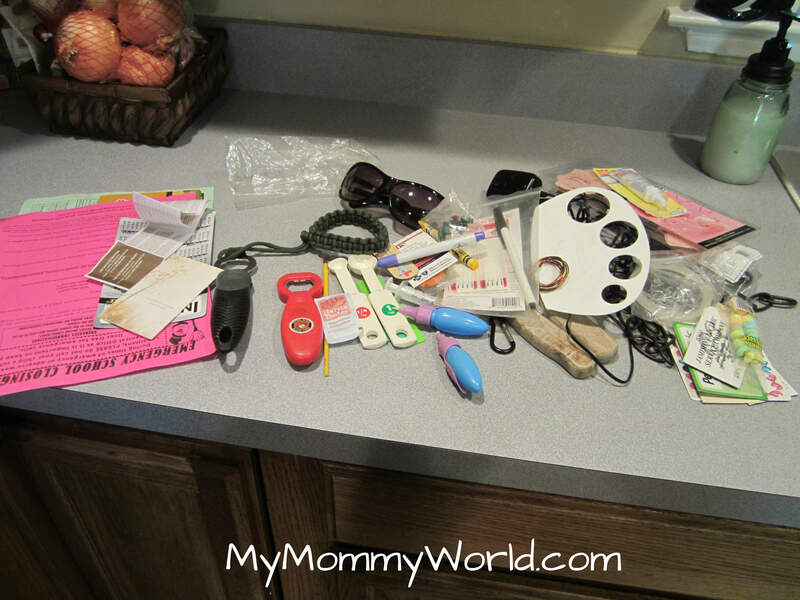 Today’s assignment in the 4 Weeks to a More Organized Home series was to clean all the mirrors and glass doors in your home, and clean out and organize your utensil and junk drawers. Oh boy…this was not going to be fun! 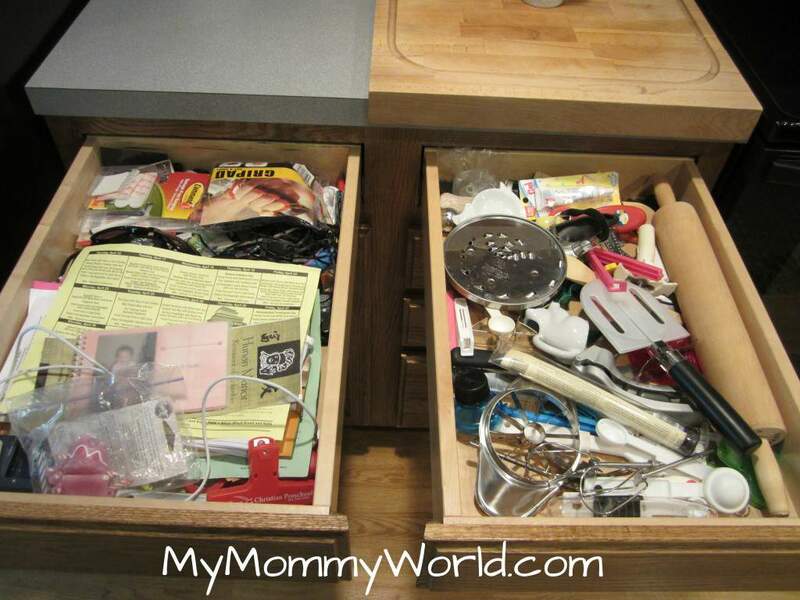 My hubby has been after me to clean out that junk drawer for weeks now. 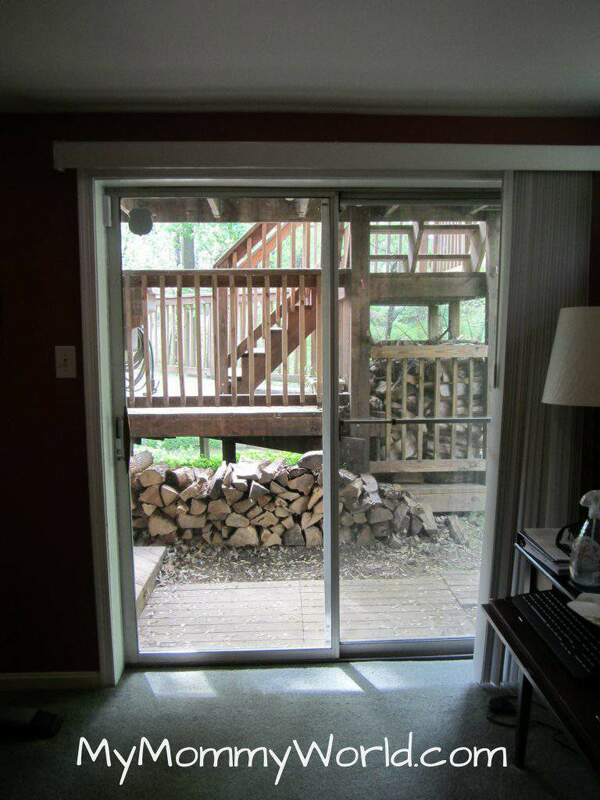 This glass door above is the one in our basement. It seems to get very dirty rather quickly, as it is so close the yard. I went through 4 paper towels on the outside of the door…they were covered in dirt, pollen and bug remains. Ick! 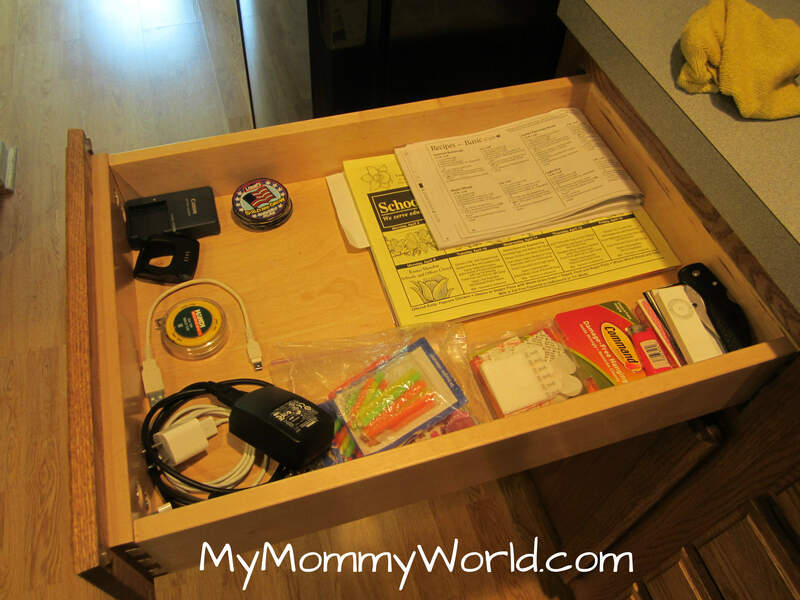 Next, I worked on the 2 drawers in the kitchen. After emptying them out, I found some crumbs inside that needed to be wiped out. 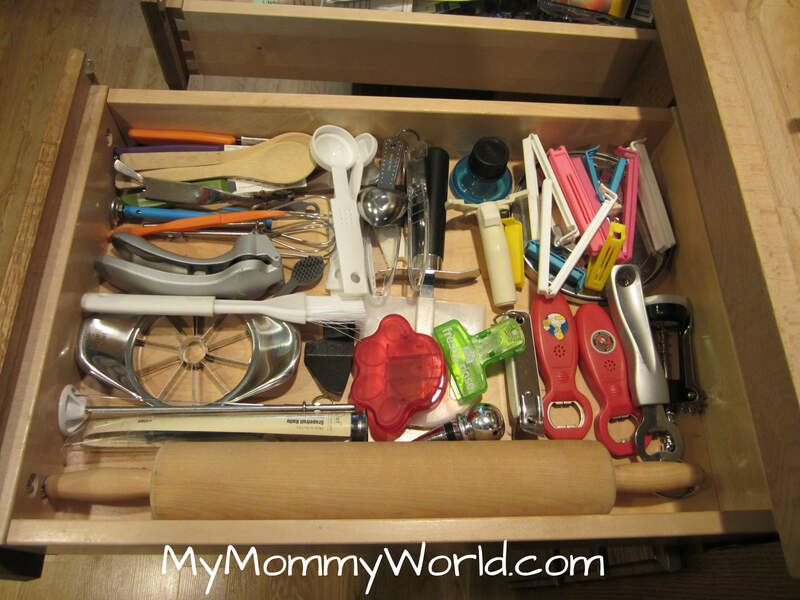 As my friend Shell at Frugal Family Home remarked the other day while we were cleaning out our silverware drawers, how crumbs get into drawers where you only put clean utensils is a mystery! I was able to toss out a few old measuring spoons that were warped in the dishwasher, as well as 2 of the 5 bottle openers that we had. Most of them were gifts, which I hated to get rid of, but we don’t need 5 of them, especially when we hardly use them. I got rid of more than 7 things today…it felt good to see all of this go! Erin, your junk drawer turned out better than mine. We keep pencils, pens, tape, notepads, and few other things we use regularly. So my junk drawer is still a little fuller than I would like. But at least we can find things in it now. I did not get to my outside windows today it was just too wet and we were gone most of the morning. I did the mirrors yesterday when I did my bathrooms so I did not have to do those today. I wonder what tomorrow’s assignment will be?